Joe Bonamassa Forum → Other Artists → What song are you listening to right now? Topic: What song are you listening to right now? I know I know, the obligatory thread, but I'm bored. Right now, it's The Fire Down Below by Bob Seger. What are you cranking out right now? Re: What song are you listening to right now? The last thing I listened to before I turned in last night was Rory Gallagher live at the Bottom Line NYC 11/11/78 off of wolfgangsvault.com. Took a little while to get to sleep after listening to Rory shred. FM broasdcast from Ultrasonic Stuios Oct 17,1972. Amazing quality for this peroid and it's classic Bonnie and Lowell. Up next is Jon Amor (The Hoax) cuts from his first two CDs after the Hoax disbanded. "Reconsider Baby" from Joe's live show at Ram's Head 10/27/04 courtesy of Nancy. Too bad I'm at work so I can't crank it like I normally do at home or in the car. "So please reconsider baby, and give yourself a little more time........." Does it get any better than that? no it doesn't! That's one of my favorite all time shows I think Joe did. I have that on cd too. It's almost like my sovenier because he played in Appleton WI on 10/17 i think and the setlist was the same. Every track on that show was just amazing. 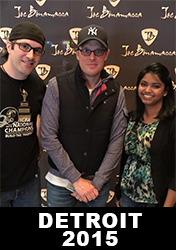 Since 2010, Bonamassa fans have taken advantage of my JB friend discount = my cost + shipping. From: N. Little Rock, AR. I've got "Cripple Creek" (The Band) playing, right now. Great song, greater band! Carmen Ghia Head- Marshall 112 Cab W/G12H 30 or Custom 4 X 6v6 Head or Budda Twinmaster Plus Head-Traynor 212 Cab w/Eminence Texas Heats. Steel Pulse - live recording from 1984 in paradiso, it was broadcasted again a few weeks ago, put it on CD. Already recorded it on cassette in 1985.
www.fabchannel.com is a very interesting new site. It has I think 700 live recordings all from Paradiso Amsterdam. I heard about it 2 days ago and very good!!! Isn't that show just the sh*ts?? I have got to listen to it at least once a week, sometimes for days on end. I just LUV "Reconsider Baby". Since seeing Frank Marino last Saturday, I've been rolling the Frank Playlist on the IPOD. Pink Floyd "Wish You Were Here" one of their best. I am at work but I still listen to music when I can. I was just jamming along with SRV's "Dirty Pool", or trying too at least ;...now it's "32-20 Blues" from Gov't Mule's Live With A Little Help From Our Friends. JB Shank Hall 06, thanks Roy. Also working on slave song off Larry Carltons Fingerprints. Ain't Nothing Wrong With That by Robert Randolph & The Family Band. That whole cd is killer. Been jammin "Live and Dangerous" by Bryan Lee ! Never heard of him until KWS's "10 Days Out", but I just love his style of playin" ! Brett - Glad to hear you're listening to the Braile Blues Daddy - he's from my hometown. In fact he used to tune our piano many years ago. Brett, I was listening to that exact CD in the car. Bryan is one of my favorites. If you ever have a chance, make sure to go see him. Bring your dancing shoes. I don't know if you can make this or if this is even close to you, but he is going to be at The Bowl Full of Blues Festival in Newton Iowa on 7/28(tomorrow). You'll love his music but you'll love the man more. I know I do. If you don't have it, make sure to get Bryan's "Live at the Old Absinthe Bar" There is a Friday one and a Saturday one. There is guest appearances by Kenny Wayne, Frank Marino, and James Cotton.